10 year plan – Teach. Empower. Transform. Jessica Kaushal currently serves as a postsecondary coach in the Scholars program where she is matched with a twelfth grade scholar to provide support on his journey towards a postsecondary education. Jessica joined FLOC last year, after a big move and change in industry encouraged her to give back to the community in a more direct way. This year, Jessica works with a student named Nicholas, who is interested in pursuing a liberal arts education, just as she did. Nicholas emigrated from Taiwan at a very young age, but after growing up in the city, he’s excited at the prospect of going to school elsewhere. He hopes to pick up some “non-euro-centric” history in college, and perhaps pursue his interest in behavior economics. When asked why she originally chose to volunteer with FLOC, Jessica said that she appreciates the long-term relationship FLOC has with many of its students. Volunteering at FLOC has also given Jessica a more holistic perspective about the time and resources it takes to educate a child, which has influenced her mindset within the world of public policy. We’re thrilled to have Jessica back for another exciting year at FLOC! The Scholars Program had an eventful spring filled with exciting workshops and field trips. The sixth grade Scholars participated in workshops about leadership and identity. 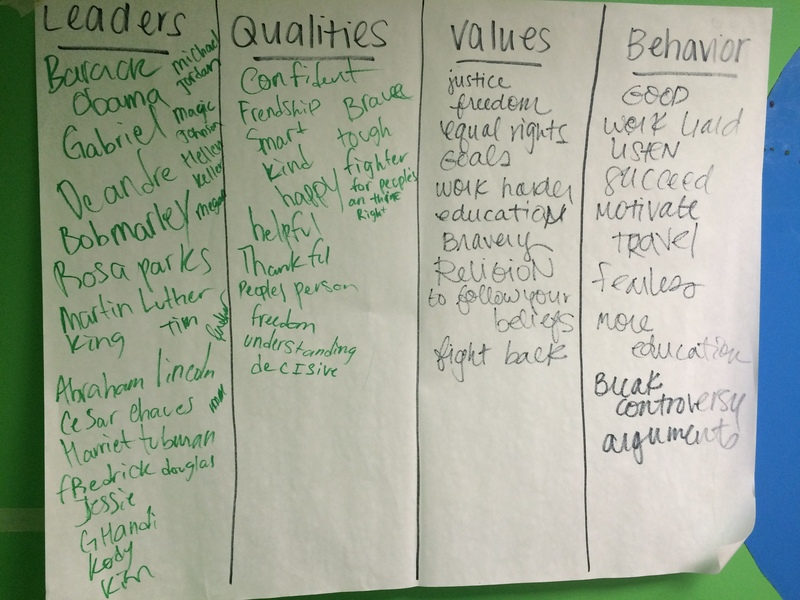 Students enthusiastically identified qualities of a good leader and provided examples of leaders in their families and communities. 6th grade Scholars also created an identity box which included a personal timeline, lists of their favorite things along with a poem about their feelings, desires, and goals. The 7th grade students learned how healthy eating and physical exercise impact their performance in school and overall wellbeing. To alleviate personal and academic anxieties, students created stress balls. 7th grade Scholars also researched career fields in education and hospitality where they eventually created their own education nonprofit and toured Omni Hotel. 8th grade Scholars participated in Mock Admission activities where they had the opportunity to design their own colleges. Students reviewed sample applications and decided who to accept waitlist or deny. 8th grade students also explored what it means to have a healthy verse an unhealthy relationship in all aspects of their life: dating, family, friends, and school. The 9th grade workshops included discussions about positive self-expression with the help of metaphors; navigating life events and “what if” scenarios; building a timeline of their life experiences; and themes concerning police brutality, how to formulate arguments in a debate, and how to navigate various personal preferences that can help narrow students’ postsecondary choices. 10th grade Scholars spent time researching and developing a 10 Year Plan. Students started the project by talking about what it means to be a self-advocate, the importance of knowing your behavioral style, and creating logos and tag lines that represent who we are. Students wrote about graduating high school, what experiences they would like to have in college and what career they would like to aspire to. Additionally, they built a fictional budget based on the salary of their ideal job and learned how to make a paycheck stretch. The 11th grade Scholars focused on their college search. Each student created a list of ten postsecondary institutions they are interested in applying to during their senior year. They familiarized themselves with the application process, and learned how to determine whether an institution would be a good fit for their career goals, academic skills, and personal interests. Scholars also developed an understanding of the purpose of a personal statement and identified the experiences, activities, and accomplishments that make for compelling and one-of-a-kind essays. 12th grade workshops are designed to introduce seniors to key themes that they will encounter in their postsecondary careers and help them transition successfully from high school. One of our Postsecondary Scholars, India Ellsworth, came to present some information to the seniors about her postsecondary experiences at Penn State-Altoona. 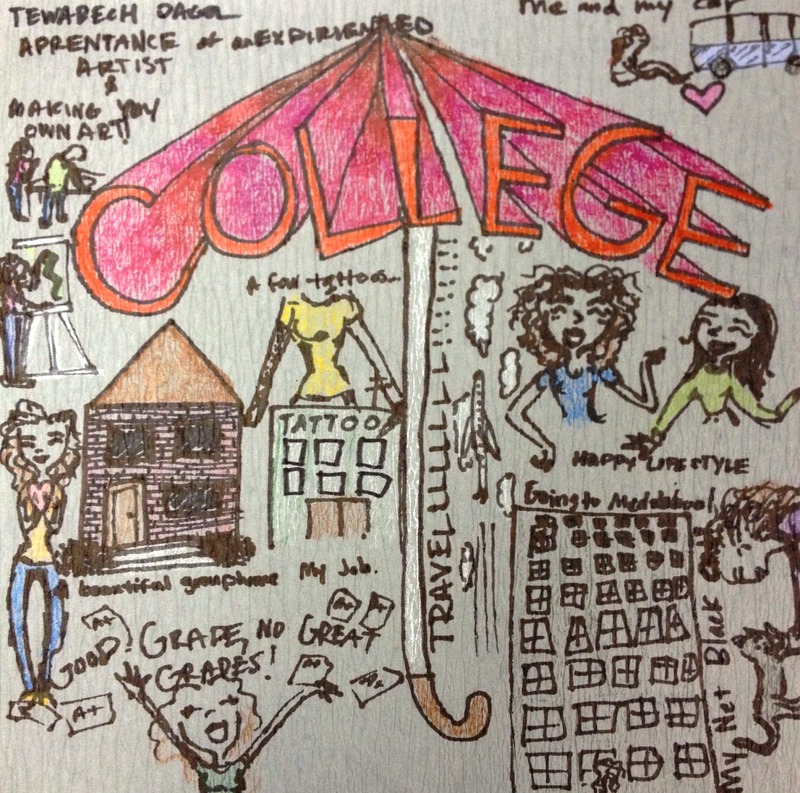 She shared valuable insight concerning college life, choosing a major, and time management. The following week, students continued their conversation about the differences between time management in high school and their postsecondary institution and discussed how they defined success personally, professionally, educationally, and socially. As the school year comes to an end, we are busy planning for our summer workshops, OEC camps, and SYEP students. Here’s to a great year and an ever better summer! Each year around this time, FLOC partner College Summit organizes a Career Week, bringing professionals from the community into high school classrooms and after-school workshops to share their journeys through high school, college, and the world of work. 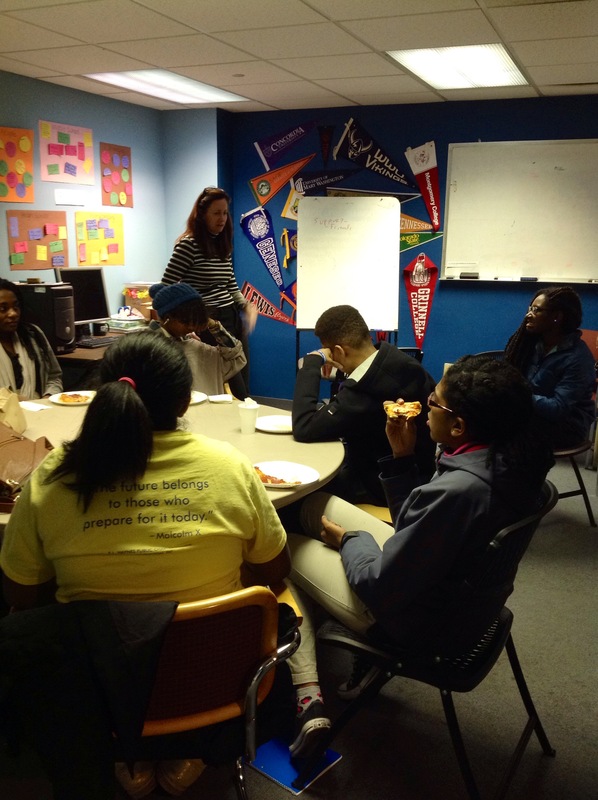 Last Wednesday, as part of this effort, three professionals from Deloitte, Blackboard, and Howard University volunteered an hour of their evening to visit the FLOC Scholars 10th grade workshop. One by one, the panelists spoke of overcoming challenges in high school in order to get to and succeed in college and career. One of the panelists instantly scored points with a student when she said she attended Woodrow Wilson High School, where he currently attends. She spoke of how academic mentors, professional connections, and her personal persistence helped her realize her potential, turn around her grades, and obtain jobs working with students after college. Her words of wisdom were well-received; she encouraged the students to take advantage of the opportunities that a college access and success program like FLOC provides. The second panelist caught the attention of the students when she told her story of changing course; she started school wanting to be a doctor, but when she struggled in her chemistry class, she decided to change her major and become a personal trainer instead. And after graduation she was exposed to work and new experiences abroad and then made her transition into the field of consulting. She taught the students the importance of adapting but never giving up when our paths get rocky – and they will get rocky. And last but not least, the third panelist lent her perspective about college life to the students. Although she emphasized the importance of time management, she also explained how college coursework was more interesting, thus allowing her to grow as a person. After college, she landed a job at a growing company and, before long, was recognized for her good work and promoted to a management position. She also demonstrated her love for learning, sharing that she is currently working toward a master’s degree. After listening attentively, the students jumped at the chance to ask the panelists questions about their future goals and dreams. After an engaging hour of high school, college, and career talk, it was clear that the work the students had been doing all year was paying off. The 10th grade students were more eager than ever to get back to work on their “10 Year Plan”, researching and preparing for how their own path might play out over the next decade. Upon first interaction, Tewabech doesn’t strike you as a typical high school student. She’s reading George Orwell’s 1984 a second time for fun – this time outside of class to get more meaning out if it. If for some reason you needed ceramic carving tools, Tewabech could pull hers out of her backpack for you to borrow. Tewabech is currently an 11th grader at arts-magnet high school Duke Ellington and this is her fourth year partaking in FLOC programming. 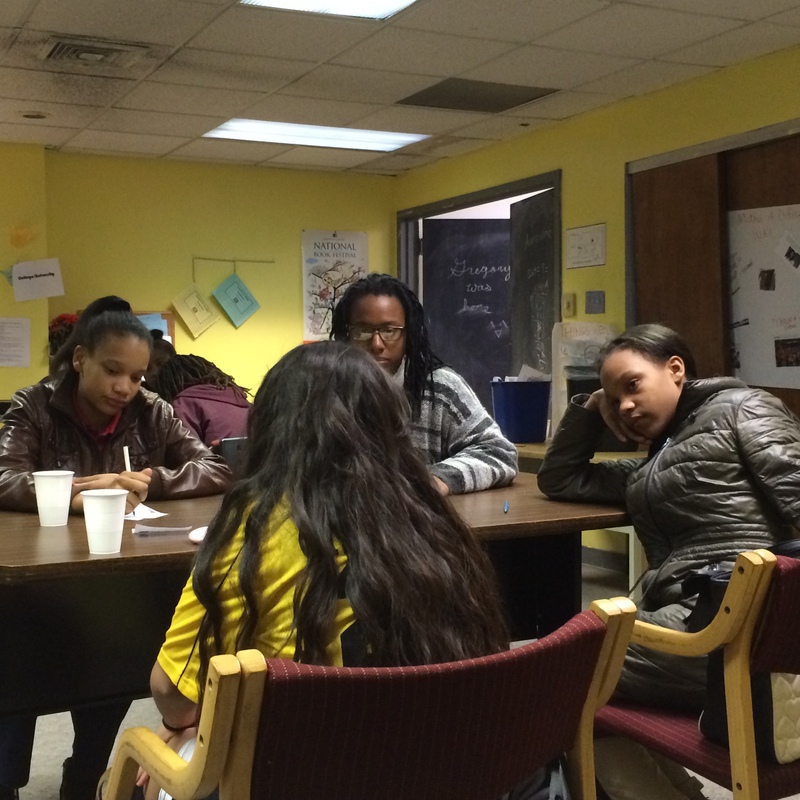 Although her school lets out later than most, she makes the effort to come to FLOC each Wednesday for SAT prep. She is a talented artist who is also passionate about science. We witnessed her eyes light up as she learned of the Smithsonian’s prestigious summer internship opportunity called the Youth Engagement through Science (YES!) program. 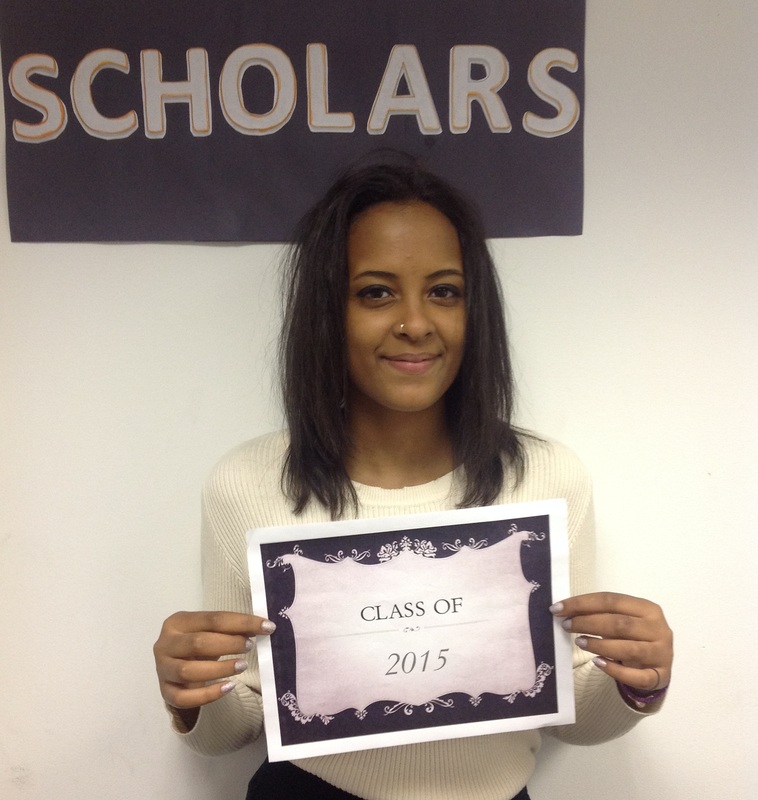 She was diligent and determined in completing her application and we wish her the best of luck. Not only does Tewabech take her academics seriously, but she also places strong value on her relationship with teachers at school and staff members at FLOC. She is articulate in conversation and possesses maturity beyond her 17 years. She emphasizes the importance of her family, and serves as a great role model for her younger sister, who she picks up every Monday from the Middle School Scholars Program. 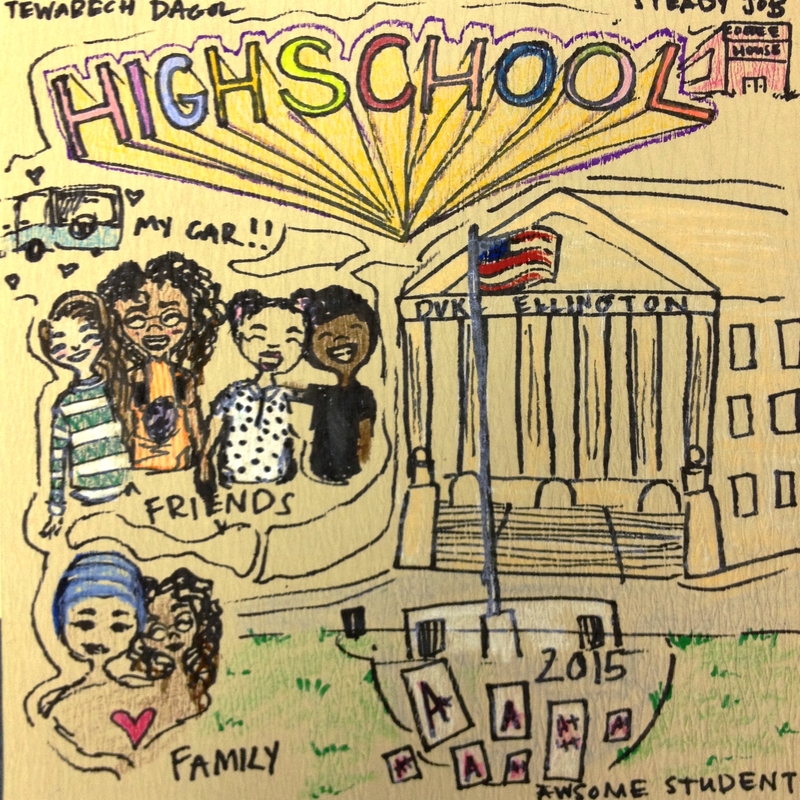 Tewabech wrote about getting good grades and building strong friendships in high school, and envisioned herself extending her college-going years to attend medical school and become an anesthesiologist. 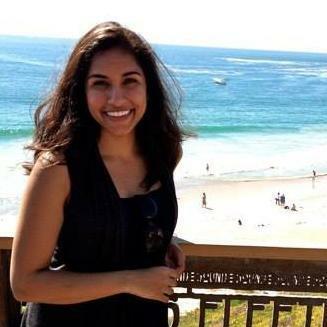 She planned to never lose sight of her passion for art, and when making her budget for life after college, she recognized the importance of both saving and spending smart. This quote began to have meaning for me when I started volunteering at FLOC in September 2012. I was a recent college graduate, finishing up my very first internship in DC, and yearning for an opportunity to give back in this community. For just a couple of hours a week, I started helping a Scholars Program Instructor facilitate a workshop for a diverse group of 10th graders. The curriculum sought to empower the 10th graders to build the skills they would need to succeed in college and beyond. As they started to work on their 10 Year Plans – a project that enables them to reflect on high school, navigate college and postsecondary life, and explore careers – I realized how little time I spent thinking about my own path. What are my personal strengths? In what environments do I work best? How can I be both happy and successful in the work I choose? 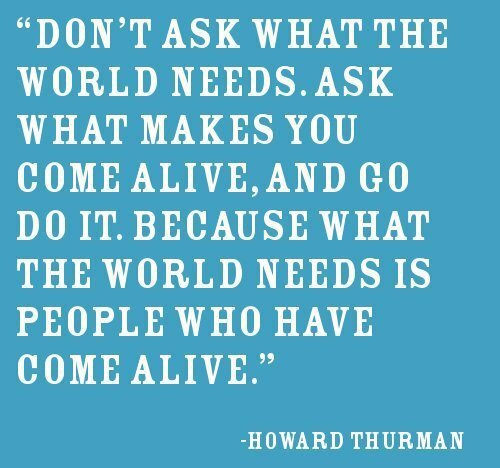 What makes me “come alive”? A year later, and with a greater sense of clarity about my purpose, I am so grateful for the opportunity to continue serving our FLOC community as one of three Scholars Program Instructors. I am looking forward to build relationships with our 6th and 10th grade Scholars this 2013-2014 school year!